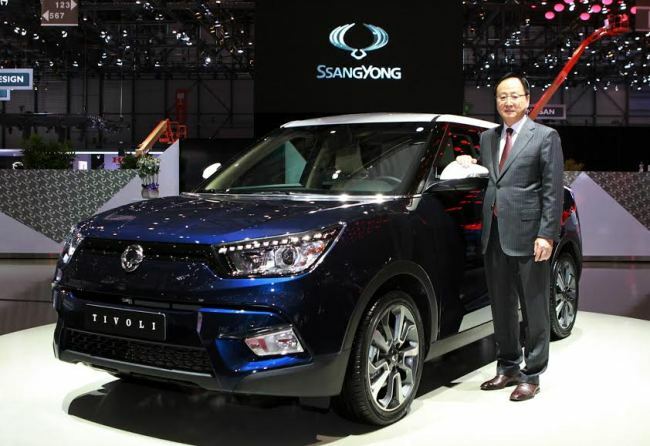 Ssangyong Motor on Tuesday said the company is planning to revamp its flagship large sedan the Chairman into a sport utility vehicle model, hinting at the company’s future direction as an all-SUV maker. “There is a risk of carrying on with the Chairman W as a sedan,” said Ssangyong CEO Lee Yoo-il in a news conference at the Geneva Motor Show. PREVChevrolet Trax wins safety award in U.S.